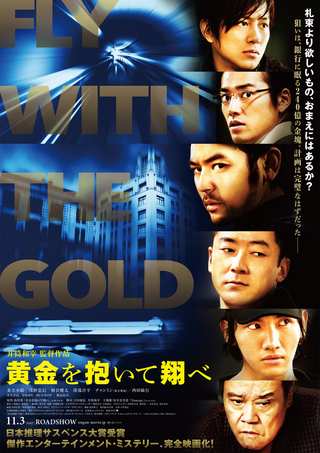 Kota (Satoshi Tsumabuki) hears about an impending 1.5 billion yen gold bar heist from his friend Kitagawa (Tadanobu Asano), a former college classmate, and decides to take part. 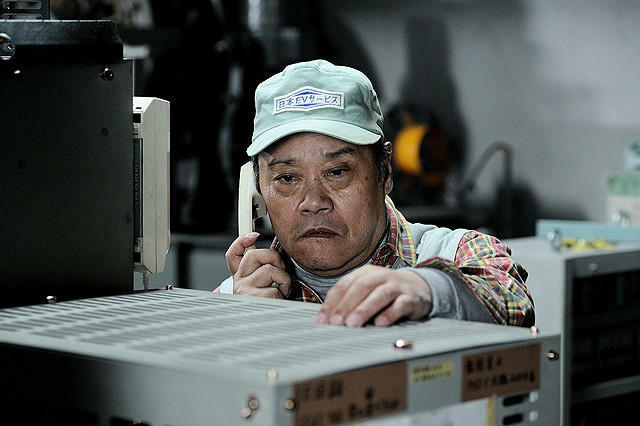 The gold bar sits in the basement of the HQ of Sumita Bank. Helping Kota and Kitagawa are bank security employee Noda (Kenta Kiritani), a North Korean spy pretending to be a college student (Shim Chang-Min), Kitagawa's younger brother Haruki (Junpei Mizobata) and a former elevator engineer (Toshiyuki Nishida). These 6 men are about to carry the boldest of schemes to bypass the bank's high-tech defense system. Based on the best-selling novel "Ogon O Daite Tobe" by Kaoru Takamura (published January, 1994). Shim Chang-Min, member of Kpop group "TVXQ," plays Momo, a North Korean spy pretending to be a student. Kujo Aug 10 2016 6:37 pm is the the prequel of the gold case? IMJeungLim Nov 11 2013 5:38 pm Changmin's acting was good, especially since Japanese is his 2nd language. Not an easy feat, I'm sure. But, honestly, the movie was a little fragmented. I felt like it could have been better. Maybe the editing was a bit choppy. This could have been a blockbuster movie because all the elements were there: great actors, good interesting story with excitement and intrigue. Cassielf Sep 17 2013 12:31 am So sad, I watched the movie. Though the plot was dragging, filled with messed up lives and people dying. In a scale of 10, I would give it around 7.5. If they had include more background story of the characters and more plotting of the heist, it would be better. Especially the relationship between Momo and Koda. I'm pretty sure they would have fit the important parts in 2 hours if they had not drag it then rushed the ending. Not really suspenseful. On the other hand, Satoshi and Changmin had portrait their complex characters well. mildnature May 29 2013 9:50 am as a first timer, Changmin is a par considering that acting is not his forte and with his occupied schedule that doesn't give him an opportunity to attend acting workshop, that even pro actors/actresses would do from time to time to augment their talent... i don't see any overacting scene...you should try acting and see for yourself what is it before you judge and make unwarranted comments. Changmin won Best Rookie award from the 36th Japanese Academy Awards and winning Japan Movie Critics Award! 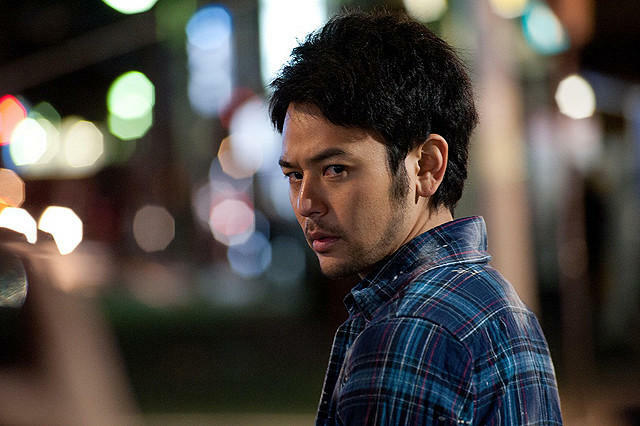 And he was also nominated for the 37th Hochi Film Award. And this is for the work that he filmed DURING their Tone Tour 2012!! He worked so hard and is super talented so I'm happy he is finally getting some recognition!! Firstly, Jaejoong's movie was just a TV movie, not an actual film shown in theaters, if I am not mistaken. So this would be the first DBSK movie. Secondly, Changmin may not actually be all that terrible, considering he won a newcomer award for the film. Lisa dasmun Feb 01 2013 9:19 am So, his acting has been proven. Changmin ah... Let's fly with award! Nyan Nov 07 2012 6:48 am @Kish Jaejoong ever starred a joint movie of korea-japan entitled "Heaven's Postman"
excuse me to drool over so many hunks in this movie. can't wait to see it! Karen Oct 15 2012 5:15 pm @mccully that's your own opinion. 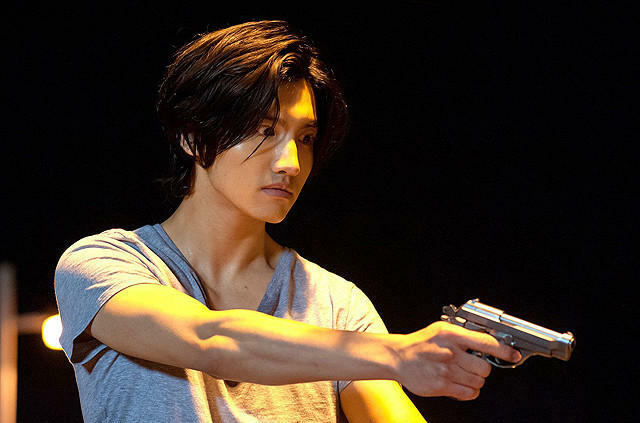 i was pretty impressed with changmin's acting in PR. overacted in some parts, i thought but for his first drama and first acting job, it was seriously good and he got better as the drama went on. 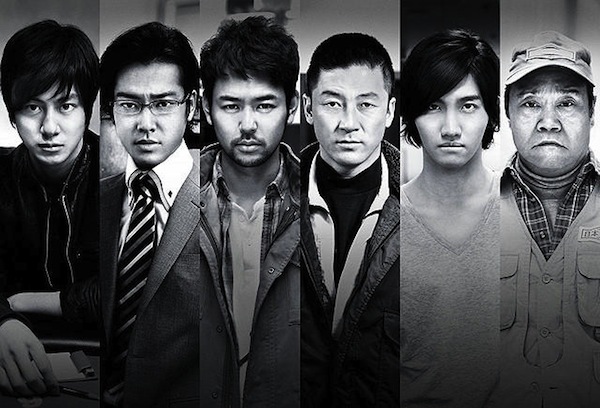 i'm excited for this movie, not just for changmin but for the story itself and for the other actors. i just hope they sub it so i can understand it! Kish Oct 07 2012 2:06 am CMIIW, but this is the first time DBSK member taking a role in a movie, am I ryt? Maximum Aug 03 2012 6:38 pm I'm here for the Shim Changmin, Satoshi Tsumabuki, & Kenta Kiritani. I wonder how long I'll have to wait until this film will be available in my country. It looks exciting; I like these types of stories. obviously the director thinks changmin will be fine that's why he was cast. can't judge a person's acting by just one mere drama and a show that he only appears on for 15 mins. people!! anyways, can wait for this movie all great actors are in here. ifnt Jun 25 2012 12:43 am SATOSHI TSUMABUKI !!!!!!!!!!!!!! he's so hot and a really good actor! Maca May 23 2012 6:22 pm Changmin acting is great!!!! in Paradise Ranch he was awesome. I cant for this movie !! Caitidid Feb 13 2012 11:37 am Changmin's acting isn't sub-par, did you see him in Athena. Paradise ranch was a girly romance drama. Extreme over acting is required in those. For a first time it wasn't bad. I'm excited for this. mccully Feb 02 2012 9:32 pm hasn't the director seen "Paradise Ranch?" Changmin's acting is sub-par. TVXQFreak Feb 02 2012 11:22 am can't wait for the release... my changmin and junpei in one movie.. its like a dream came true..